In order to protect our families and our possessions, many of us build our homes out of sturdy materials that extend the strength and security of the foundation up and around the rest of the house. We use brick, stone, stucco, granite, and concrete to construct extremely resilient residences, and we trust in these materials to keep our families safe from the host of environmental hazards that the state of Florida can pose to locals. Just as we do with our foundations, we expect the stonework of our homes to safeguard us against shaky conditions, but sometimes, both of these sources of support give way to the settling of the soils beneath our homes. When our foundations are affected by shifting soils, our masonry can succumb to the consequences as well, and in order to keep our houses standing tall, both the foundation and the masonry require professional repairs. As a full-service foundation repair company, Solid Foundations is capable of solving your foundation and masonry problems with our foundation repair services and our masonry repair services. The settlement of the soil beneath your foundation can cause several different problems with your home, including damaged masonry. Settlement happens when the soil around and under your foundation shrinks, moves, or is poorly compacted. The soil will shrink if it is dry: the lack of moisture will cause the soil to pull away from the foundation and decrease the support of the foundation walls. Soil moves when it goes through rapid periods of freezing and thawing, as these changes trigger the heaving of the soil that quickly adjusts everything around it as well. Usually, the soil is poorly compacted before the structure is built, and poorly compacted soil allows the weight of the structure to push down on the soil and move the foundation down with it. All of these occurrences can leave the brick or masonry of your home severely harmed, and the different signs of destruction in your brick or masonry will indicate the seriousness of the situation. Bulging bricks or masonry: bricks or stonework will bulge when the shelf angle corrodes or when poor gutter or downspout quality lets excessive rain run down the side of the structure, which incites the over-saturation of the soil and the loss of support to the masonry. Compaction: the settling and sinking of your foundation can force the bricks or stones to compact down on one another under the weight of the structure. Stair step cracks: cracks in brick, concrete, or stone steps take place when the settling of the soil shifts the foundation of the building. Vertical corner cracks: cracks in the masonry that appear as a result of the drying and shrinking of the soil around and under the structure. Damaged brick, stone, or concrete around your home can have several negative consequences on your family and your life. 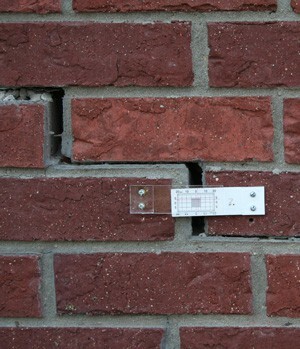 Small setbacks of damaged masonry involve the unsightly appearance of your home and the lowering of the property value. More significant repercussions include unaddressed foundational issues that can bring down your foundation, your walls, or entire sections of your home. Problems with your foundation and your masonry are always more expensive to repair the longer they are allowed to persist, so ignoring the signs of foundational and masonry damage can cost your family greatly. 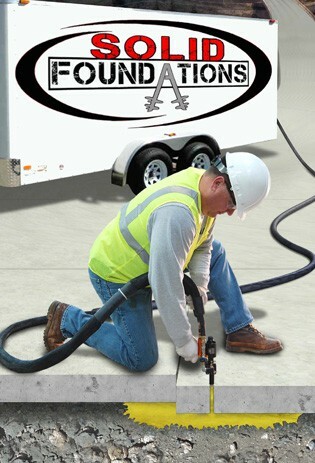 Solid Foundations assumes a very thorough approach to your masonry by offering masonry sealing and weatherproofing; concrete patching; stone resurfacing; chimney cap replacement; filling in of windows, doors, holes and voids; removing damaged mortar joints; and reconstructing walls, columns, and porches. If a foundational or structural issue with your home has created any amount of ruin to the brick or stonework of your house, Solid Foundations will complete all of the essential repairs and return to your home the supportive and aesthetic appeal of masonry. To learn more about our masonry restoration services, call Solid Foundations today!